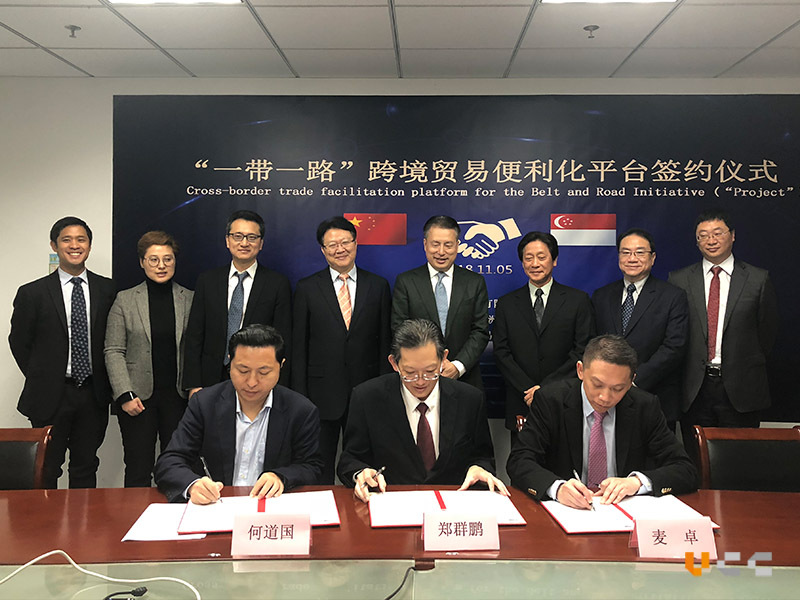 During the first China International Import Expo (5 November 2018) at Shanghai, vCargo Cloud Pte Ltd, eCOM (Asia) Limited and Chongqing Liang Jiang F.T.C International Trading Operation Center Co., Ltd sealed a memorandum of understanding (MOU) for the cross-border trade facilitation project. Mr Han Baochang, Director of the China-Singapore (Chongqing) Demonstration Initiative on Strategic Connectivity Administrative Bureau, was there to witness the tripartite signing of the MOU between Mr Desmond Tay, vCargo Cloud CEO, Mr Horace Mak, eCOM (Asia) Limited Managing Director and Mr Horace He, Chongqing Liang Jiang F.T.C International Trading Operation Center Co., Ltd General Manager. All three parties will be working closely to build the “One Belt, One Road” trade facilitation platform to achieve strategic goals and will fully cooperate, commit and leverage on respective strengths and integrate resources. 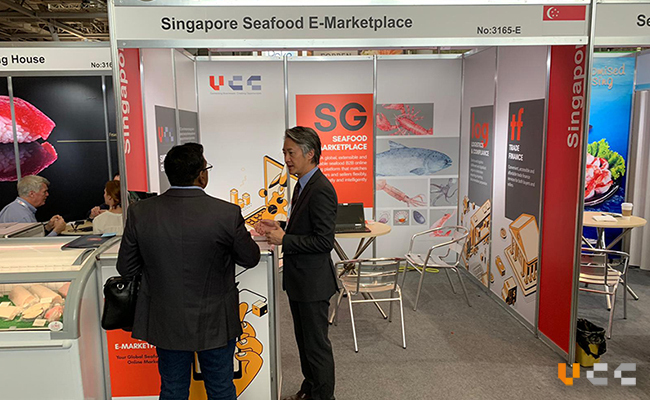 During the meeting, Mr Desmond Tay from vCargo Cloud stressed that the two sides will be relying on the advantages of the history, geography, politics, economy, etc in Singapore and China to make full use of blockchain technology, artificial intelligence and big data technology to visualise the whole cross-border trade process (trade orders, contracts, customs declaration, logistics, settlement, collection and payment, tax rebates, etc). 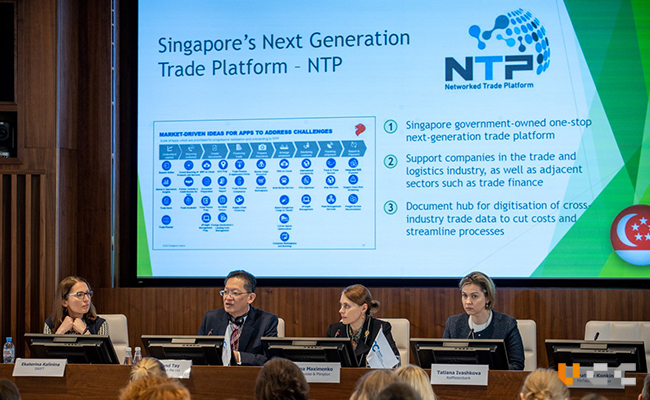 There will also be continuous building and improvement of cross-border trade platform facilitation ecosystem, including smart logistics, cross-border payment, cross-border trade finance, government dividends and other service resources which are within the framework of the bilateral free trade agreement, to increase the level of trade facilitation between bilateral and multilateral countries. At the same time, Mr Horace He from Chongqing Liang Jiang F.T.C International Trading Operation Center Co., Ltd has also expressed that he will respond enthusiastically to the national “One Belt, One Road” and “Western Development” policies, placing focus on cross-border trade services and fully utilising the advantages of Chongqing Free Trade Cloud Platform, to facilitate trade and make customs clearance more convenient. 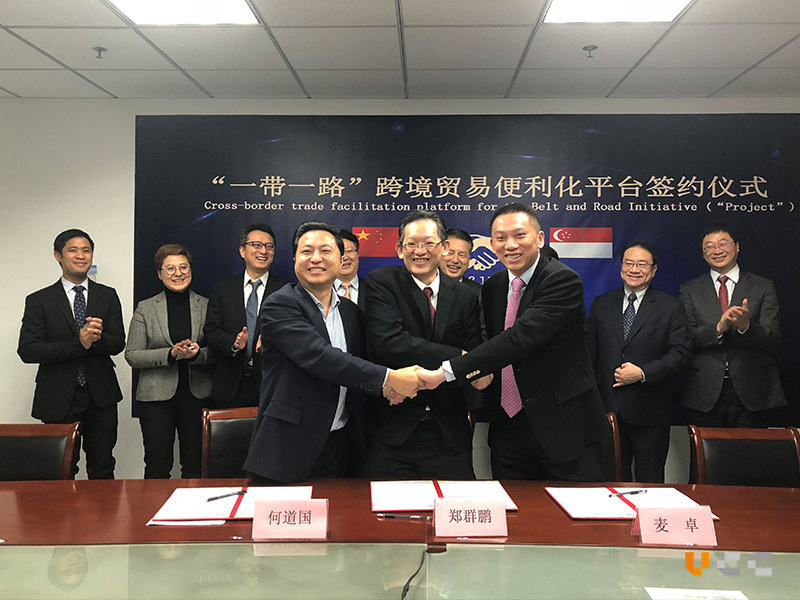 Mr Horace Mak from eCOM (Asia) Limited has indicated that this MOU will fully utilise eCOM Free Trade Cloud Platform, together with the strengths of vCargo Cloud and Chongqing F.T.C, to create a “One Belt, One Road” cross-border trade facilitation platform. 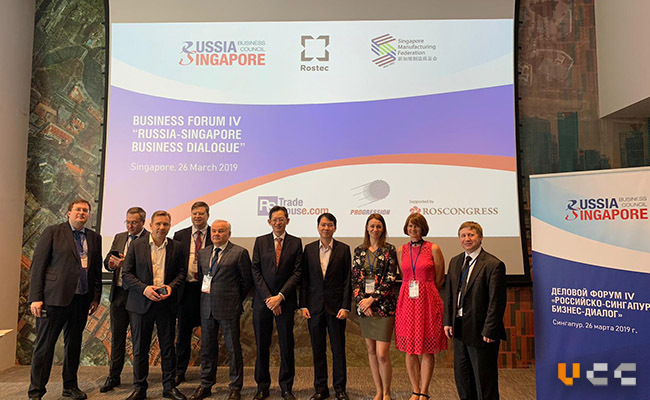 Chongqing F.T.C will be the example of strategic implementation demonstration and will be the first to achieve interconnection with Singapore. 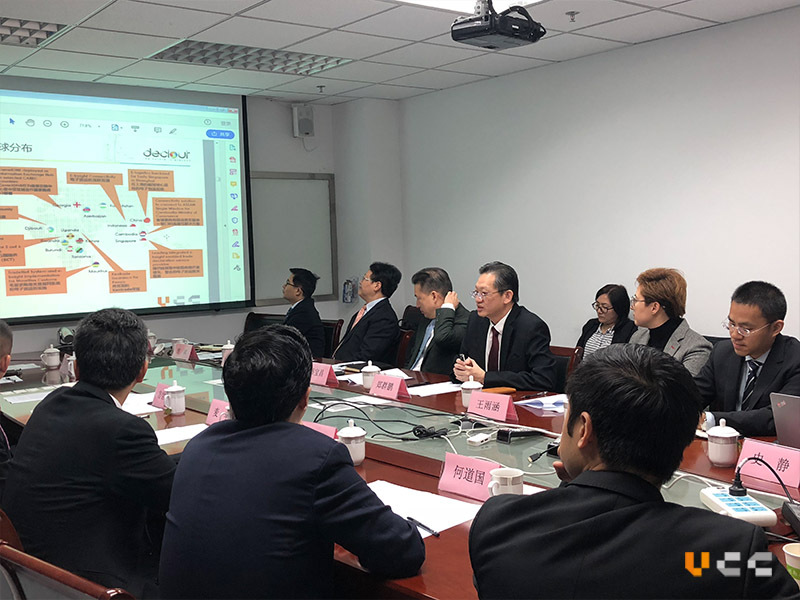 At the same time, it will further provide trade platform facilitation ecosystem for the government, foreign trade, logistics and finance industry, and effectively improve the level of trade facilitation with countries and regions along the “One Belt, One Road”.